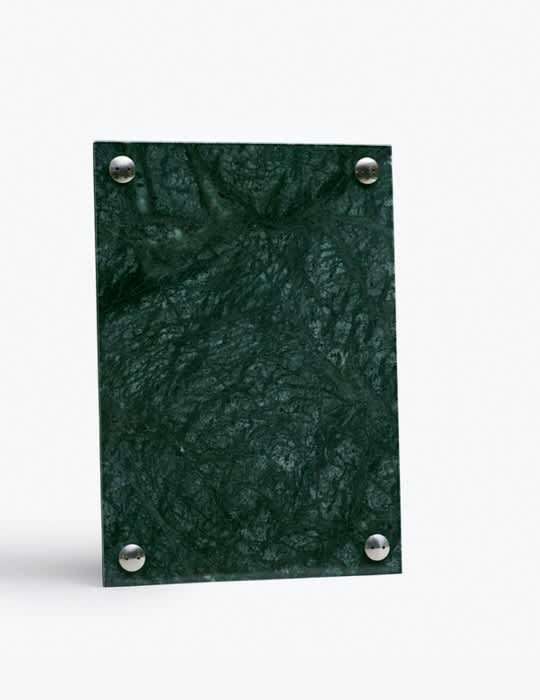 A Frame Pictureframe - Indian Green Marble A4 from New Works is a photo frame in size A4. Made of green marble. Included is a metal stand and plexiglass for example to hold / protect a photograph.